The D-Link DAP-1353 Wireless N Access Point is an 802.11n (draft) compliant device that delivers real world performance of up to 650% faster, 5 times farther than an 802.11g wireless connection and is faster than 100Mbps wired Ethernet1. By connecting the DAP-1353 Access Point to a switch or a router, users will be able to share their high-speed Internet access with everyone on the network and create a secure wireless network to share photos, files, music, video, printers and network storage throughout their home or office. 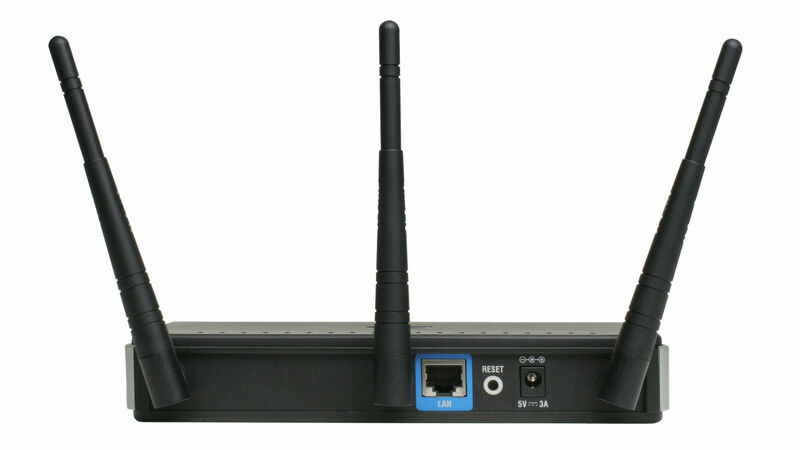 Based on Wireless N technology, the DAP-1353 features a 3x3 MIMO (Multiple In Multiple Out) antenna design to achieve wireless speeds of up to 300Mbps and to eradicate dead spots. The effect is enhanced on this Access Point by using 3dBi dipoles to maximise range, making it ideal in office environments. Based on the draft IEEE 802.11n specification, the DAP-1353 is almost guaranteed to comply with the final version of the standard through a mere firmware update, ensuring lasting use in business environments. Furthermore, Wireless N technology remains fully compatible with older 802.11g and 802.11b standards, so the entire network does not need an expensive upgrade to maintain connectivity. However, the use of other Wireless N devices is recommended to ensure the highest speeds and best coverage free of dead spots. The Access Point also enforces a "good neighbour" policy, ensuring that it will not create interference for neighbouring networks. This is achieved by reducing the amount of radio spectrum used when detecting a legacy 802.11g/b network in the vicinity. These built-in functions give the DAP-1353 the versatility to meet the requirements of various environments. In AP mode, the DAP-1353 supports multiple SSIDs, allowing a single device to be logically divided into several virtual Access Points. For instance, one SSID could have encryption and authentication enabled for internal use and another open for guests and visitors. With multiple SSIDs, the number of physical APs deployed may be reduced, minimising interference and keeping costs down. The DAP-1353 features WPA/WPA2-PSK (Wi-Fi Protected Access with Pre-Shared Key), a method of data encryption that has never been cracked, provided the key is strong enough. User authentication can be enforced by using the AP in conjunction with a RADIUS server, to protect against outside intrusion. This is achieved with the 802.1X protocol also supported. In addition, the number of users can be limited and MAC-address filtering is also possible. The D-Link Click'n Connect (DCC) wizard allows anyone without prior technical knowledge to install the Access Point, just by running the product CD. In just a few simple steps, the user is taken through establishing physical connections (power and cabling) and configuring encryption keys. All the DAP-1353's settings can be accessed and modified via a web browser. 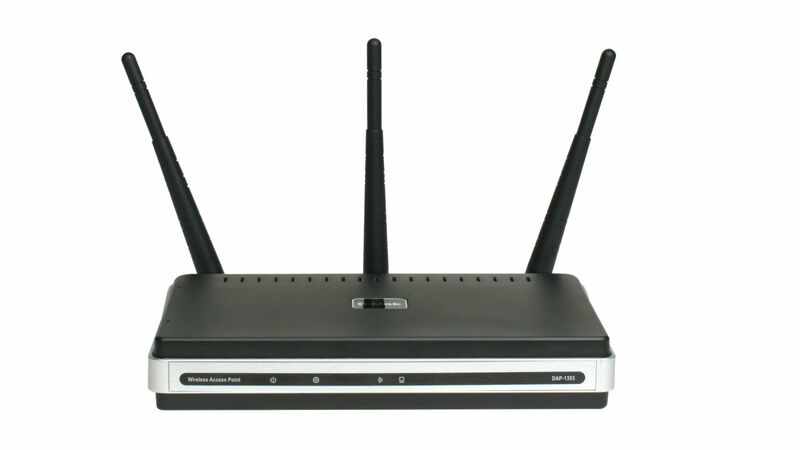 1 Maximum wireless signal rate derived from IEEE standard 802.11g and draft 802.11n specifications. 802.11n speeds obtainable when operating with D-Link Wireless N products. Actual data throughput will vary. Network conditions and environmental factors, including volume of network traffic, building materials and construction may lower actual data throughput rate. Environmental factors may adversely affect wireless signal range. Wireless N products are based on draft IEEE 802.11n specifications and are not guaranteed to be forward compatible with future versions of the IEEE 802.11n specifications. Compatibility with draft 802.11n devices from other manufacturers is not guaranteed. All references to speed are for comparison purposes only. Product specifications, size and shape are subject to change without notice and actual product appearance may differ from that depicted herein.